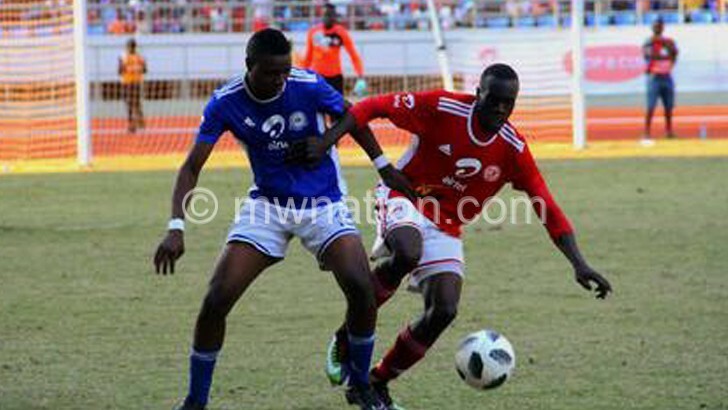 Football Association of Malawi (FAM) has given Nyasa Big Bullets seven days from last Friday to appeal against a ban not to take part in the next edition of the Airtel Top 8 competition. FAM general secretary Alfred Gunda and Bullets chief executive officer Fleetwood Haiya confirmed the latest development yesterday, saying the ultimatum comes after they expressed interest to appeal the local soccer governing body’s earlier decision. In December 2018, FAM competitions sub-committee chairperson Jabbar Alide stated that Bullets are ineligible to participate in the 2019 edition and that their slot has been taken by Kasungu-based TN Stars, who finished ninth in the 2018 TNM Super League. However, Haiya said this was unfair to Bullets because they were given chance to appeal by the FAM executive committee and there was no timeframe for the appeal in the communication they got then. The People’s Team was banned from taking part in the 2019 Airtel Top 8 and were fined K7.2 million by FAM for the ugly scenes that occurred during the final match of the 2018 edition against eventual champions Blue Eagles at the Bingu National Stadium. FAM gave Bullets the green light to appeal against the ruling after their earlier appeal was thrown out due to late submission.